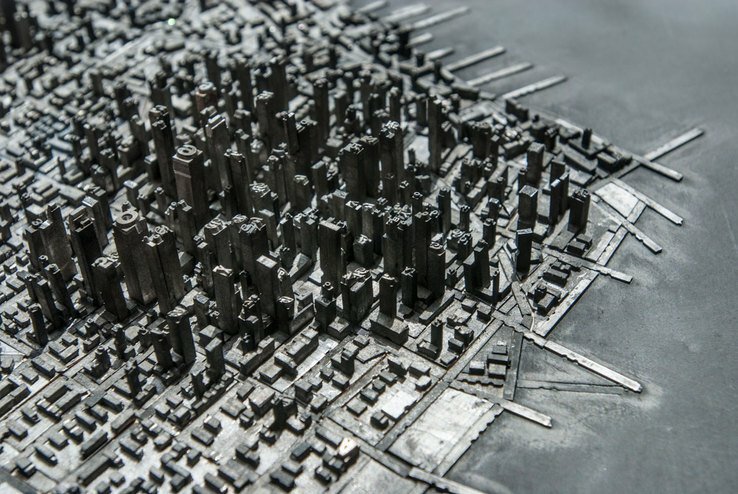 Building A City With Cold Metal Type, By David B Smith, surely has to be one of THE most imaginative typographic, and letterpress projects, I have ever seen. 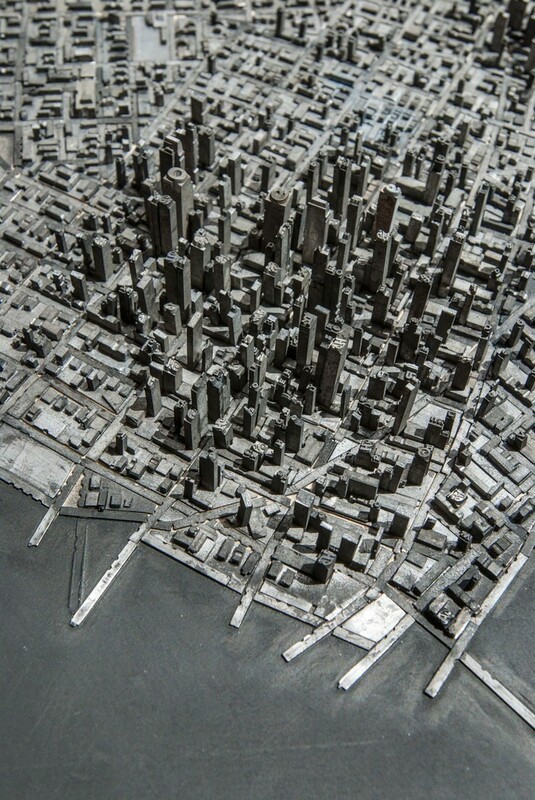 Having the realistion that old cold metal type—used in the creation of letterpress printing—could be arranged and fashioned to build a wonderfully realistic city scape, must have been a wonderful Eureka moment for David. Would absolutely love to see this up close. 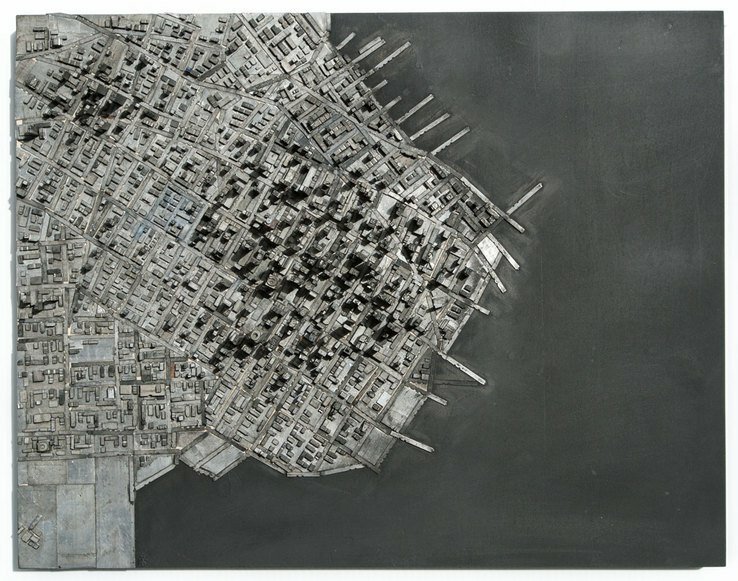 Letterology: “Among his contemporary works on display, Type City is Jang’s sprawling metalopolis seaport made of tall lead type buildings and boulevards bisecting the city into a topographic and typographic landscape. 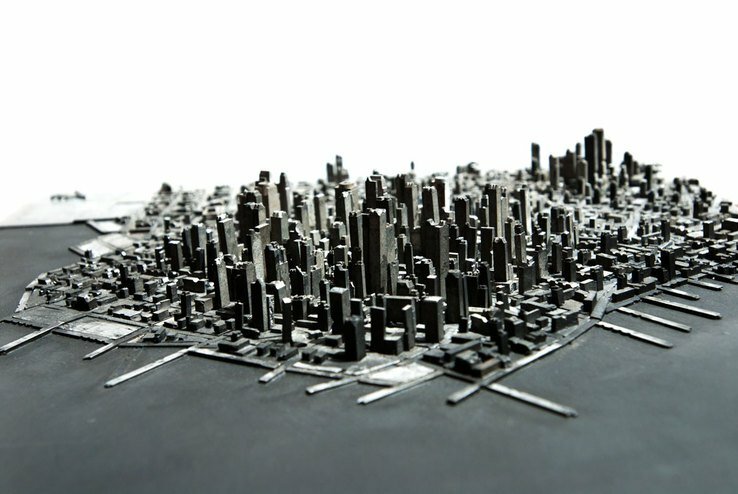 With the patience of a skilled hand typesetter, he set the tall buildings of metal type upright so they are capped with individual letters.